Passenger train travel is a vital part of intercity daily life in the northeastern United States. 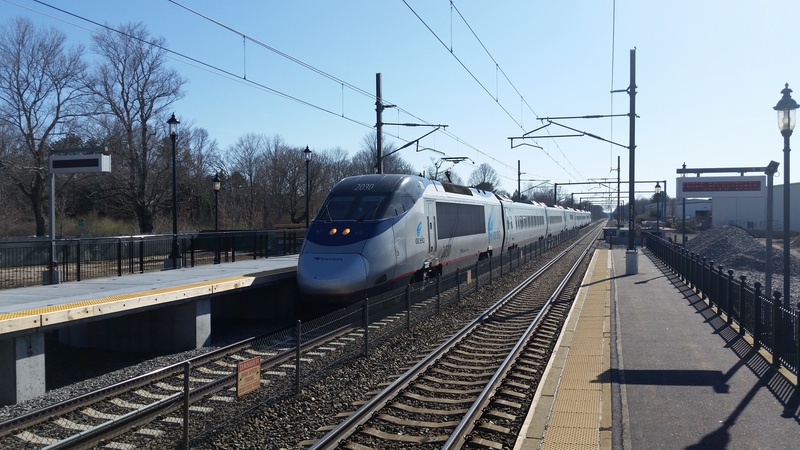 Amtrak operates up to one hundred trains per day up and down its bustling Northeast Corridor. In addition, it offers daily service from New York City to the cities of Albany, Buffalo, Niagara Falls. 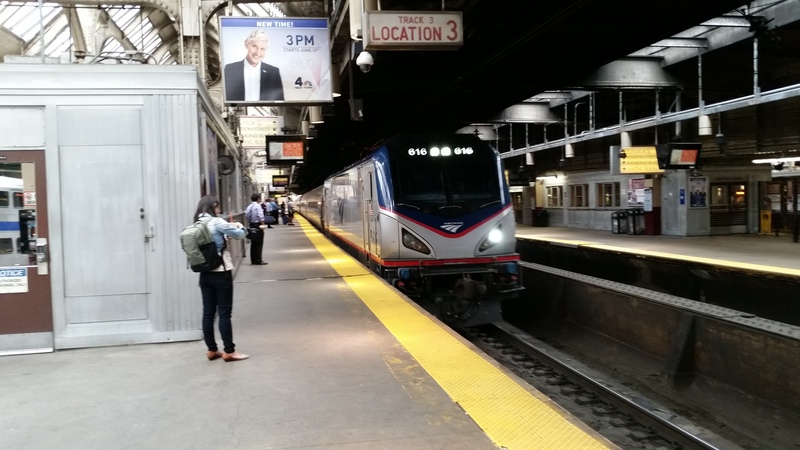 Amtrak’s Empire route also handles trains headed to Montreal, Toronto, Chicago, and Rutland, VT. New York City’s Penn Station is the origin and termination point for all of these routes. July 10th, 2017, Amtrak will be temporarily cancelling a handful of trains to allow track improvements to be made at Penn Station. Passengers should not be discouraged by these cancellations. Amtrak strongly values the safety of its passengers and employees. What trains will be cancelled? Will they positively or negatively affect passengers’ views of the carrier? It’s best to understand that Amtrak wants to keep daily business on ‘track’. Three daily Northeast Regional trains will be temporarily cancelled. Here, Northeast Regional train #185, arrives at Newark Penn Station. Between July 10th and September 1st, 2017, Amtrak will be temporarily cancelling certain trains to alleviate congestion at Penn Station, while track improvements are in progress. Amtrak will be temporarily cancelling three daily New York City-Washington, DC Northeast Regional trains. Amtrak’s Keystone route from New York City to Harrisburg will be slightly affected. Three weekday round-trips will start and end in Philadelphia. One weekday round-trip will start and end in Newark, NJ. 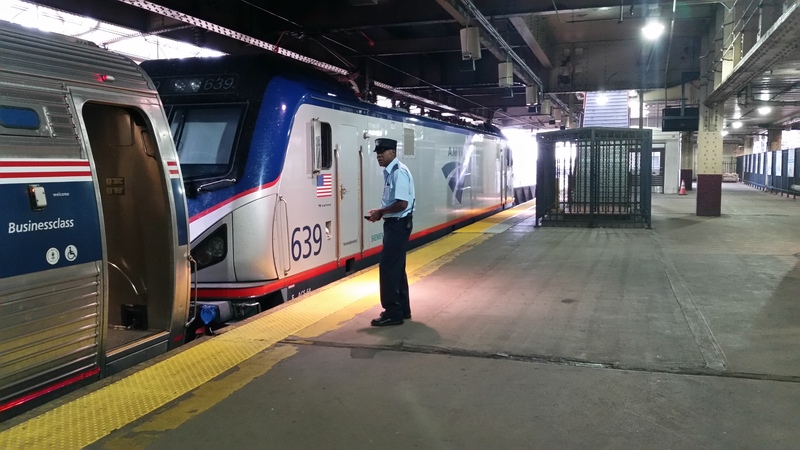 Service between Philadelphia and Harrisburg will operate as scheduled. No announcement has been made regarding Amtrak’s Empire route. A decision will be announced soon. Amtrak’s Crescent, a daily long-distance run between New York City and New Orleans, will also be operating on a modified schedule. The Crescent will run daily between Washington, DC and New Orleans. Passengers traveling to and from destinations north of Washington, DC will be able to connect to other services. Spanning the Hackensack River between Secaucus and Kearny, NJ, Portal Bridge handles up to two hundred trains per day, Amtrak and NJ Transit combined. Schedules are up to date. Anyone with a trip already booked on affected routes has been contacted. Additional work will last through approximately June 2018, with most of it occurring on weekends to minimize the impact on service. Amtrak continues to make progress on the construction of the new Moynihan Station, across from the current Penn Station. 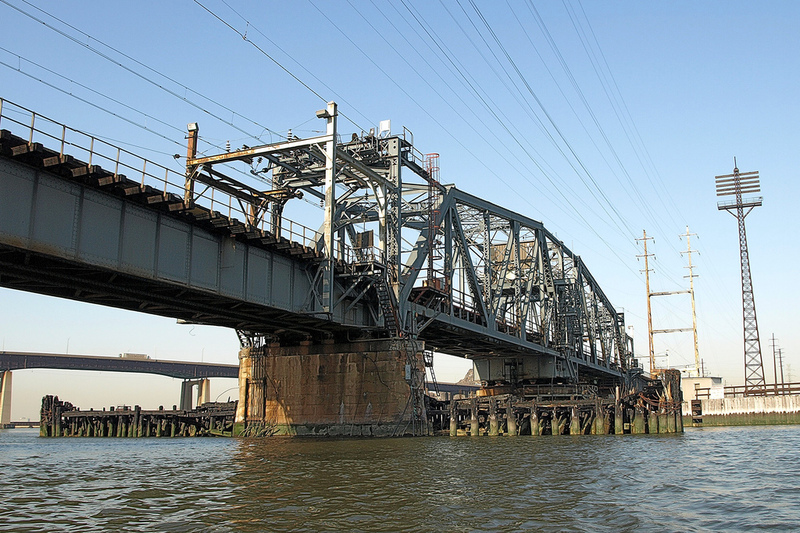 Amtrak also plans to replace the 107 year-old Portal Bridge between Secaucus and Kearny, NJ. The current bridge has a two-track right-of-way. The new bridge will have a four-track right-of-way. Amtrak Northeast Regional train #178 prepares to depart Newark Penn Station for New York Penn Station. Despite temporary cancellations, Amtrak will continue make ‘tracks’. Travelers, both business and pleasure, rely on Amtrak more than ever before. New York City is the mecca of northeast railroad travel. With a handful of scheduled trains to be briefly affected, life on the rails will keep rolling. The Northeast Corridor is the busiest passenger railroad in the United States. In the coming year, passenger volume is projected to rise even further. In recent years, Amtrak has broken ridership records and will continue to do so. Amtrak’s temporary cancellations are necessary for the company to improve its infrastructure. Furthermore, these improvements are key to Amtrak’s reliability. Without them, Amtrak cannot move forward. These cancellations, along with the needed improvements, are a tribute to the perseverance of Amtrak’s dedicated and talented employees. No journey on the rails would be possible without them. Despite upcoming cancellations and mandatory track improvements at Penn Station, Amtrak keeps on chugging along.